Marcos Alonso has urged his Chelsea pals to forget about the growing gap to Manchester City, with the Blues' title hopes hanging by a thread. 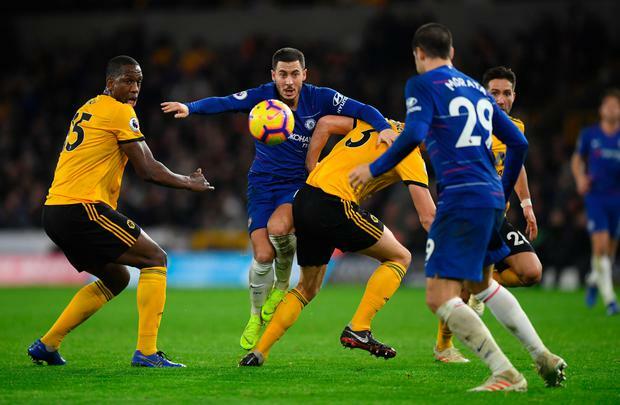 Eden Hazard of Chelsea battles for possession with Ryan Bennett and Willy Boly of Wolverhampton Wanderers on Wednesday. Wednesday's shock 2-1 defeat away to Wolves left Maurizio Sarri's side 10 points behind the Premier League leaders ahead of tomorrow's Stamford Bridge showdown with Pep Guardiola's side. Lose that and the Blues, who now sit fourth, will trail City by 13 points but Alonso is eager to ignore the league standings. The defender said: "It's too early to talk about it, obviously. "If we lose we are going to be 13 points from the top and that's a lot of points but we have to think, prepare for the game well and not pay attention to the table at the moment. 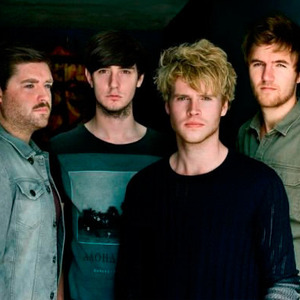 "It's the perfect opportunity to come back. It will be a great game for sure, everybody will be very motivated to play. "We are very disappointed after the defeat but it's back to work and we will work harder and start playing better as a team." Raul Jimenez and Diogo Jota scored in four second-half minutes at Molineux to cancel out Ruben Loftus-Cheek's deflected opener. It was Chelsea's second straight away league defeat after a 3-1 loss at Tottenham last month ended their unbeaten start. "We have to play more as a team. It's something we have to analyse, we will try our best to improve as soon as possible," added Spain international Alonso. "We're not doing very well at the moment. More individually (than) as a team, we have to get better as a collective. "We had the chances to win, we were controlling the game and started the second half having a couple of chances. "The last few games we were not loyal to our style of play and, even if we didn't deserve it, we lose. "We are going through a hard moment and you have to work very hard, stay together and get back to winning as soon as possible." Victory lifted Wolves up to 12th ahead of Sunday's trip to face Newcastle United, and boss Nuno Espirito Santo praised the impact of Morgan Gibbs-White after the midfielder's full Premier League debut. "He is getting in the game and bringing energy, staying focused and humble," he said. City go into tomorrow's Stamford Bridge battle in flying form, with Tuesday's 2-1 victory at Watford following hot on the heels of a 3-1 win against Bournemouth at the Etihad Stadium last Saturday. Guardiola's men have accumulated a hugely impressive 41 points from their opening 15 Premier League games and look capable of matching - or perhaps even beating - last season's record-breaking points haul of 100. There is even talk of the Sky Blues emulating Arsenal's 'Invincibles' of 2004, who went the entire campaign unbeaten before being crowned champions. Only Liverpool - two points further back on 39 - appear capable of keeping pace with the champions. City will host Jurgen Klopp's men on January 3 in a clash that could go a considerable distance towards deciding the destination of this season's title. However, there will be plenty of football played between now and then, with Chelsea acutely aware of how important it is to avoid defeat tomorrow.